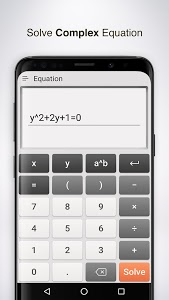 Calculator Pro help you to solve maths equation by CAMERA! Just one click to show the answer of it. 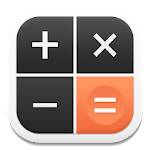 Calculator Pro let your phone be a professional calculator with BASIC, SCIENTIFIC and EQUATION SOLVER Mode. - Math scan Mode: one shoot to solve your maths problem magically. 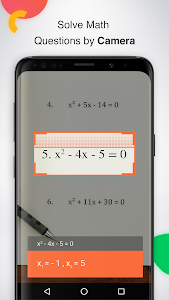 - Equation Solver Mode: Simply calculate your math problems. 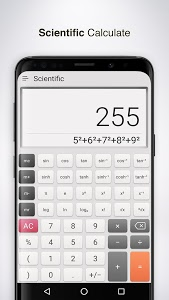 - Scientific Mode: All-in-one calculator(sin, cos, tan and so on). 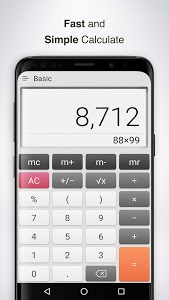 - Calculation history: Never lose your calculations, easy for you to double check or Make some adjustments in the intermediate steps and start again. - Float Window: Supports float window for multitasking scenes. - Memory Keys: Supports memory keys(mc, m+, m-, mr) option. - Perfectly support Samsung Galaxy S8, S8 edge, S7, S7 edge, HUAWEI P10, LG Nexus 5X etc. - Add math scan function. Let try it?.